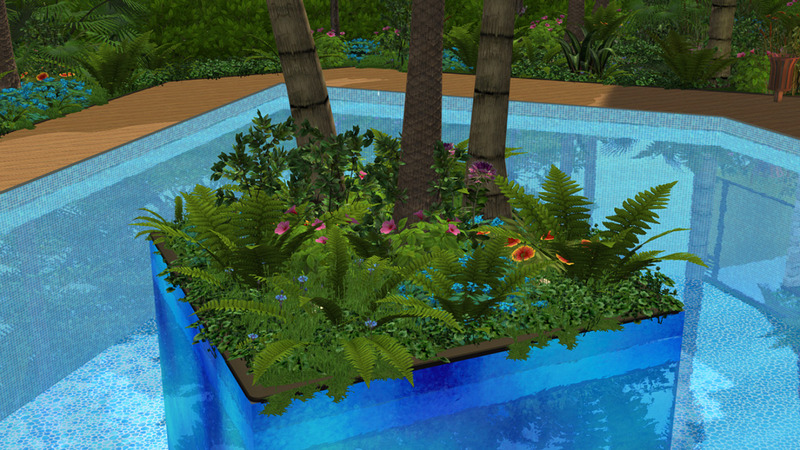 At the moment, I just wanted to import one plant and see it in the game, it should appear directly under the community toolbar without my section yet (just for testing, I’d add the section later), and have the apiary icon. The mod compiled just fine without errors, I can enable it in game, but nothing shows up in the menu. I must’ve done something wrong, but I don’t know what. Here are the files, the compiled .pkm is inside the folder. they will eventually be immune to fire/tornados. my example has 3 "F" , you , you need 4 of those. what you mean by tree animations ? because trees can have animations but i am pretty sure it is not what you think, the trees animations are the part where they fall to the ground and then disappear. and not the part where they have their leaves moving, changing colors and disappear in winter. i am not sure if you can add snow on it in winters because as soon you use ModelAlpha function it tends to imunne it to snow unless you find a way to do it with your AO file. while the 3rd channel wrap up is set in your 3D model fbx and it decides the fact it shrink to nothingness (disappearing) in winter. you will need to check the tutos in tuto section to how to do it in blender. Thanks! I’ll try to set the categories and see if that will make it appear in the game. Looking forward to seeing them (and using them). Do you plan to make them non ground-flattening? It makes them easier to use with other mods if ghost decos don't flatten ground. Yes, that would be good, I also prefer when ghosted deco doesn’t flatten terrain. I set up the toolbar like in the example from the tutorial, but the model still doesn’t appear anywhere in the menu in game, so I must’ve done something else wrong. first thing i've done, i fixed the mess about the Build.bat.. the Package.rsc... and your resources root file. explanations: your toolbar file doesnt know where to find your icon, so it doesnt search for it. i ve put a copy of the files in the attachments and also a screenshot to prove your icons are there thenafter (Build.bat and Package.rsc and DecorativePlants.rsc) in an attached .zip below. oh they do support those number. but i wont recommend it, the things should be too small to see any difference. we cannot zoom enough in the game we can see a difference. you will eat memory for nothing. but it does handle those 512 and 1024 numbers. you mesh hasnt been exported in your .fbx with the good "units". if you keep the same units, then you will have to rescale down your mesh to maybe ... 5% of original scale. I fixed the alpha, but the model is still massive and with wrong shape despite scaling it down according to the apiary building (I deleted the apiary parts after that to leave just the fern parts). Also, when I actually click on the ground to place it, the game crashes with a division by 0 error, so I suppose I must have something else wrong, maybe in Template\Fern1.rsc? I used the well template and removed some things from it, so maybe I removed too much. i compiled and put the .pkm in WinData folder. the screenshot is what it gave me. it didnt crashed at all but the units are still bad. each time you compile, make sure you delete everytime the bin and build folders it create each time you compile. that way you are sure everything has been updated. 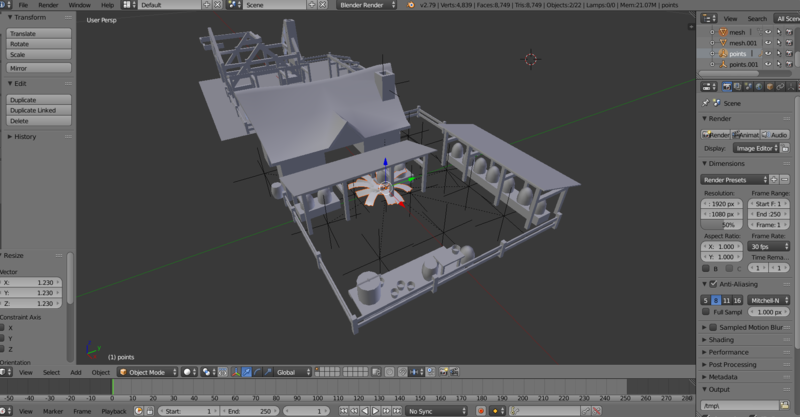 i imported your fbx in my 3dsmax and re-exported... is the supposely the good size ? Hi @Voeille, nice to see a new modelmaker on board. From your picture in Blender it looks to me like a missing game tile scaling factor. The thing is that a banished game tile is not 1 meter but a citizens height. I use 1.66666666667 m for it to have a simple factor of 0.6 when modeling in real size and scaling it to the game. So if your original fern model was made in meters then just scale it down this way and it will keep its proportion. In your fern1.rsc are a couple of wrong things. One that will crash the game is adding happiness around an item placed on 0 x 0 tiles. That probably causes your /0 exception. You have copied the well.rsc and not cleaned it up fully. I send you a file from a ghosted bench including its upgrade item which is necessary to get rid of it in game. So you can look at it or just copy and alter.